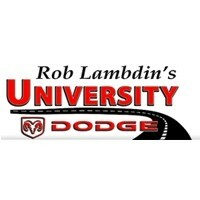 We’re glad you took the time to stop by our University Dodge website. Sometimes it can feel a bit daunting to navigate an auto manufacturer or dealership page, and we thank you for taking a look around. Let us repay the kindness by showing you the many great vehicles consumers can find when shopping for Dodge or Ram. We have new vehicles, we have used vehicles, and we have a friendly sales staff to answer any questions while you search through our ever growing inventory. Not sure what you’re looking for but have a vehicle to trade in for a little help with a down payment? Get a quote for the worth of your car and your desired vehicle. Our auto financing team is also experienced with helping consumers get an auto loan with a great rate. At University Dodge, we strive to put only the most accurate and up-to-date information on the web. Browse through our blog articles, or feel free to give us a call. You can contact us with any questions you have. We look forward to doing business with you!